Written by	Lyn Ross, L.M.E. Hyperpigmentation is the result of an over-proliferation of melanin within a specific area or region of the body. Another name for hyperpigmentation is dyschromia, which refers to the condition related to the darkening of the skin. Ultraviolet radiation is the most well-known extrinsic factor that regulates melanogenesis, which is the skin’s response to protect from the harmful rays of the sun. Hyperpigmentation, or dyschromia, is a very common skin condition that occurs in women and men on different areas of the face and body and occurs especially in individuals with darker skin tones. Determining the causes, types, and severity of hyperpigmentation increases the potential for long-term, successful treatment of this problematic skin disorder. One of the best ways to detect skin dyschromia types is with the use of a Wood’s Lamp or diagnostic tool, as the florescent light magnifies areas of abnormal cell development. Until it is illuminated in the diagnostic tool, clients may never see for themselves the degree of sun damage or hormonal pigmentation occurring in their skin. This powerful tool gives professionals the ability to look behind, or through, epidermal layers, revealing more about the skin’s true condition than traditional magnifying lamp analysis. When using a diagnostic tool, ask the client to lift their hair away from the face to allow inspection of the hairline out to the ears, as well. In the aesthetic industry, skin color is classified on the Fitzpatrick classification scale, which was developed in 1975 by Harvard Medical School dermatologist, Thomas Fitzpatrick, M.D., PhD. This scale classifies a person’s complexion and their tolerance of sunlight and is comprised of a grading system from I to VI, with very pale skin at number I and people with darker skin tones (Hispanics, Latinos, Africans, African-Americans, Caribbeans, Native Americans, Pacific Islanders, East Indians, Pakistanis, Eskimos, and Asians) ranging from III to VI. Type I: Celtic, Scottish, and Irish origin with red hair and very white or freckled skin; always burns with sun exposure. Type II: Blue-eyed Caucasians or Scandinavians with white skin; usually burns with sun exposure. Type III: Darker Caucasians with white or olive skin; sometime burns with sun exposure. Type IV: Mediterranean, Middle Eastern, Latin American, Asian, African, and Australian natives with brown skin; very rarely burns with sun exposure. Type V: Middle Easterners and Africans with dark brown skin; very rarely burns with sun exposure. Type VI: Africans with black skin; never burns with sun exposure. Finding effective treatment for hyperpigmentation for clients with a higher Fitzpatrick’s grade is one of the more common complaints. Many aestheticians are hesitant to treat skin of color because of their higher risk of an inflammatory response. However, it is possible to utilize all of the popular modalities for treating hyperpigmentation on clients with darker skin, with an understanding of the causes of hyperpigmentation in ethnic skin and consideration of how to treat it without creating it. Along with hyperpigmentation, professionals may also see a loss of pigment in a diagnostic tool that appear as white spots, which could be vitiligo, an auto-immune disorder. It is also possible to see scars where pigment cells are completely lost and look abnormally white, such as in the case of CO2 laser resurfacing or where dermabrasion has been performed on the skin. Disruption to normal melanogenesis can also create the opposite effect: the loss of skin color, or hypopigmentation. Hypopigmenation is caused by melanin depletion or a decrease in the amino acid tyrosine. Hyperpigmentation is usually seen as either flat or raised, brown to black spots, freckles, moles, and macules and presents itself in three major categories. PIH occurs as a result of an injury response in the skin, as in the case of an acne lesion that breaks the skin or leaves a demarcation that takes a period of time to fade on its own. Genetic inflammatory conditions, such as psoriasis, eczema, and lichen planus, may result in PIH. Allergic reactions, trauma to the skin from surgery, and incorrect use of microdermabrasion, lasers, and chemical peels that stimulate inflammation-causing melanocytes to produce more pigment in the skin may also lead to a post-inflammatory response. Burns, friction, and even certain professional skin care products and treatments may be the cause of PIH, as well. The positive side to PIH is that it generally responds well to treatment, which helps to resolve or fade it over time. Strict compliance to sun protection of the traumatized area must be observed. Visual indicators of melasma, a hormonally-induced pigmentation, include light to dark brown, symmetrical patches with defined edges. Up to 90 percent of women with dark hair and skin may encounter some degree of pigmentation during pregnancy. Considered to be one of the earliest signs of pregnancy, it is also known as the mask of pregnancy or chloasma. Melasma generally occurs on the forehead, temples, cheeks, nose, upper lip, and chin and sometimes on the neck. Its pattern is sometimes referred to as a butterfly mask. This discoloration is usually due to pregnancy, birth control pills, changes in estrogen, estradiol, and progesterone levels, thyroid dysfunction, and, to some extent, hormonal imbalance caused by heightened stress. Patches of melanin may be an indication of a hormonal imbalance, inducing a buildup of pigment in the dermal-epidermal junction. In some individuals, melasma may be a condition that develops from the combination of birth control pills exacerbated by exposure to the sun. While melasma affects all races, it occurs most often in Fitzpatrick skin types III, IV, and V (brown or olive skin tones). Ultraviolet light can damage skin, producing burns, premature skin aging, hyperpigmentation, wrinkling, abnormal cell development, and skin cancer. Just about everyone has, at some point, been caught out in the sun unprepared and suffered a sunburn. For those who grew up when a tan was in fashion and very little was known about the actual, long-term, damaging effects of the sun, deliberate, repeat, unprotected sun exposure may have taken place. Many do not begin to see the visible, long-term effects until they wake up one morning and wonder where the discoloration, keratosis, and wrinkles suddenly came from. Excessive exposure to sun rays is the most common reason people develop hyperpigmentation. If a client has developed hyperpigmentation in their early 30s, remember that the process began while in their teens. Freckles are an inherited characteristic of hyperpigmentation. Also known as sunspots, freckles are small, flat, brown marks arising on the face and other sun-exposed areas that become darker with continuous sun exposure. They are most often seen in fair-skinned individuals, especially those with red hair, but they sometimes affect darker skin types, as well. The medical term for this type of freckle is ephilis (plural ephilides). The color of ephilides is due to localized accumulations of melanin diffused into the surrounding keratinocytes. Ephilides do not produce much melanin during the winter months, but produce more when exposed to the sun. Ephilides are more prominent in summer, but fade considerably or disappear in winter as the keratinocytes are replaced by new cells. As the individual ages, this type of freckle generally fades naturally and becomes less noticeable. Solar lentigines, commonly known as liver or age spots, are found on 90 percent of light-skinned individuals over the age of 60. However, they are not directly caused by the aging process, but rather by ultraviolet exposure. A solar lentigo (plural solar lentigines), also known as a sun-induced senile lentigo, is a dark, hyperpigmented lesion caused by natural or artificial ultraviolet light. Solar lentigines may be single or multiple and are benign growths with no risk for the development of skin cancer. Solar lentigines are caused by a sudden and remarkable increase in pigment cells located in the superficial layers of the skin. Lesions sometimes develop into highly irregular shapes, their color might change, or they may gain in thickness. When performing a skin analysis and identifying hyperpigmented lesions, it is critically important to also be able to identify the different types of skin cancer. Skin care professionals do not diagnose, but can make recommendations to clients about abnormal cell growths that may be observed and encourage them to have these checked out by a dermatologist. It is estimated that approximately 9,500 people in the United States are diagnosed with skin cancer every day. Since more than 5.4 million cases of non-melanoma skin cancer occur in over 3.3 million people each year, it makes sense to always be on the lookout for abnormal cellular changes in clients’ skin and to make them aware of what is observed. Moles, brown spots, and growths on the skin are usually harmless, but not always. Anyone who has more than a hundred moles is at a greater risk for melanoma. The first signs of skin cancer can appear in one or more atypical moles. That is why it is so important to examine the skin regularly and be able to recognize any changes in moles on the face and body. Hyperpigmentation is a very difficult skin condition to treat because of the variables involved and may take several months of intensive in-clinic and homecare treatments to see significant lightening results. With a consistent treatment regimen, the gradual fading of discolored areas will be noticeable. Exfoliating enzymes, acids, chemical peels, and treatments, such as dermaplaning and microdermabrasion, help to remove already existing, abnormal pigmented cells, which aids in the lightening of darker lesions. Many of the ingredients that are used to treat hyperpigmentation work by creating an exfoliation and can be irritating to the skin. Over-irritation of darker skin can actually make hyperpigmentation worse because it triggers the melanin response mechanism. This does not mean that professionals cannot use these ingredients on darker skin, but rather than use a lower percentage of the active ingredient and gradually, over time, increase that percentage so that the skin itself becomes conditioned and does not hyper-react. Analyzing and reviewing a complete medical history, as well as a client’s past cosmetic history, will help in determining if there is any predisposition of sensitivity. This information is imperative in helping to choose the appropriate peel treatment. Inhibiting pigment production before a professional treatment will also help to reduce a possible inflammatory response. Product ingredients or medicines that are tyrosinase inhibitors help to slow down melanocyte cell activity and prevent the over-production of pigment. Tyrosinase is the copper-containing enzyme present in plant and animal tissues that catalyzes the production of melanin and is found inside melanosomes. Fading skin discoloration can be very challenging. Bound to be a long-term effort, a client’s cooperation in taking responsibility of their skin care homework, as well as the application of sun protection, is mandatory if professionals are going to promise results. Daily application of sunscreen is essential in the treatment of hyperpigmented skin issues. It is also imperative to address the importance of suppressing the further production of melanin to prevent a reoccurrence. All it takes is one sun exposure and clients can repigment quickly. Recommend a physical sunscreen with ingredients such as zinc oxide or titanium dioxide, which reflect the light and are less likely to cause irritation of the skin, after a professional peel treatment as opposed to a chemical sunscreen. Master aesthetician Lyn Ross founded Institut’ DERMed Spa, one of the most respected names in the skin care industry, in 1989. 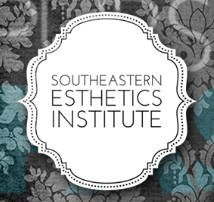 The Institut’ DERMed Spa is a 3,000-square-foot facility located in Atlanta, Georgia., with 11 treatment rooms offering the latest medi-clinical aesthetic technologies to assure quality solutions that provide the ultimate in relaxation and results for skin health and beauty. Ross was an originator of the cosmeceutical product and treatment concept Institut’ DERMed Clinical Skincare, which is now widely dispensed in prestigious salon spas, medical spas, and physicians’ offices. Ross founded the Institut’ DERMed college of Advanced Aesthetics in 1995 after years of providing patient support for the medical community to teach aestheticians, nurses, and physicians the specialized skin care and makeup techniques she developed working side by side with doctors to help patients recover after surgery.